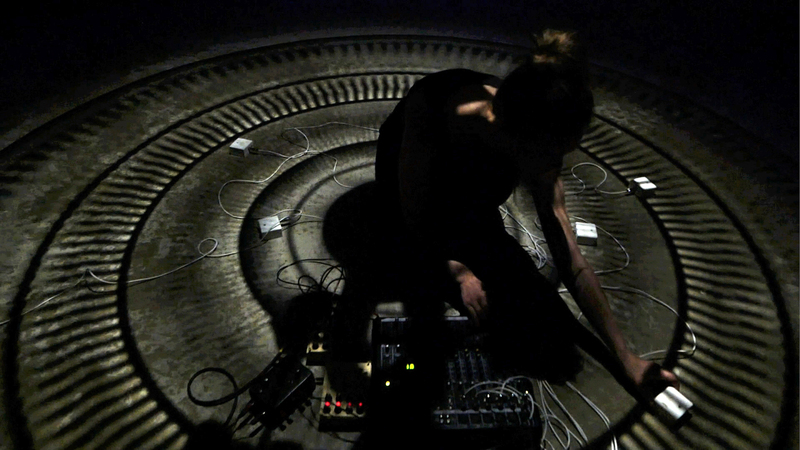 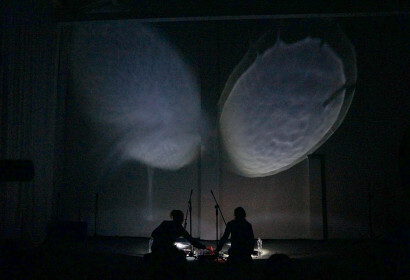 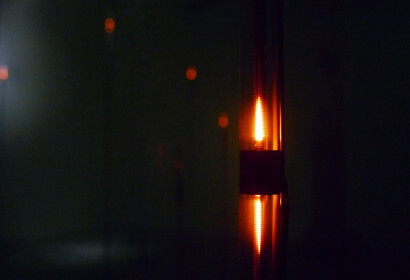 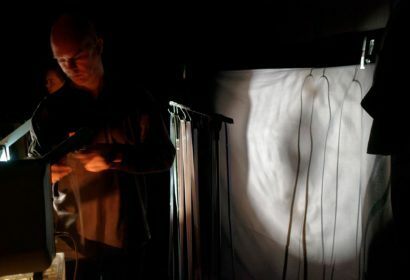 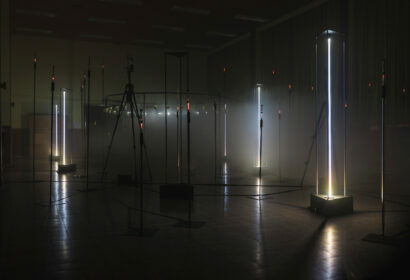 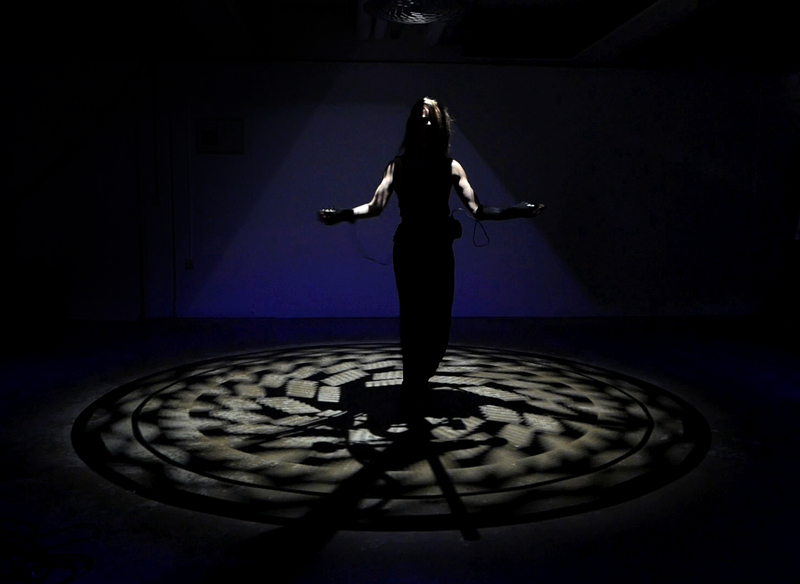 Stirred Mandala is a light and sound performance that arises from Mariska’s ongoing research on optical sound, interfering patterns and spiral movements in body and machine. 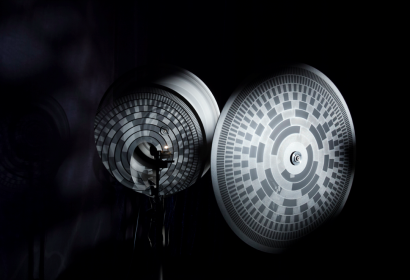 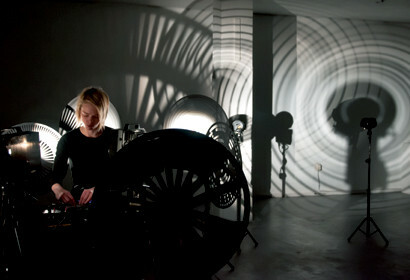 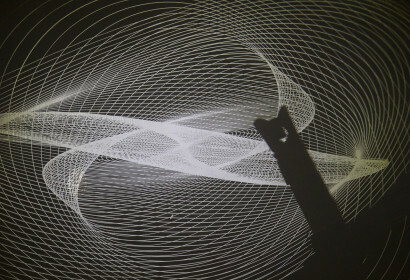 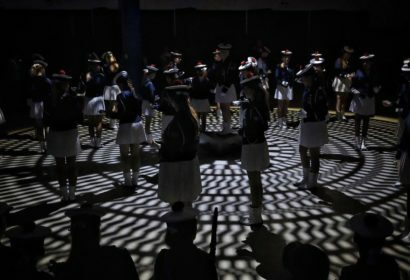 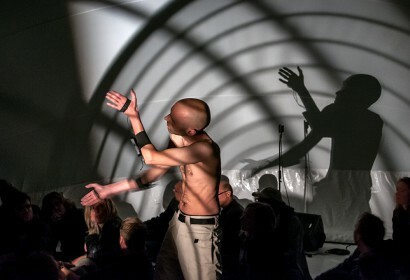 The spinning pattern of a ‘tone wheel’ is projected on the floor, like a rug of light creating the instrument surface for the performer, while light-to-sound transducers become her playful tools. 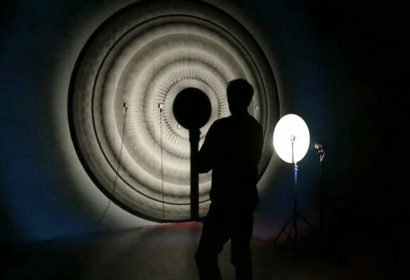 Changing frequencies of the light cause the projection to appear in different patterns going in different directions, sound follows this optical illusion, body follows or counters the circular movements.